Heram Wazu had managed to pull Yetara, the Valorian's diplomat, aside for a moment after the summit. The Diplomatic room already had the lighting turned down far enough to be more comfortable for their kind, and this Wazu seemed to be a lot more 'together' than the one which had been asking all those questions earlier. "I think you are already familiar with Diana. She is a part of my diplomatic team, and also a reporter for New Horizons. I was hoping you could do an interview with her in that capacity. I think in the long term it will help promote understanding between the Valorians and Humanity as well as help you get your view on the world out there." Diana had been relieved once the Summit had let out, the chance to sit in on such a major meeting had not been lost on her, yet the constant political presence in her life as of recently had been weighing on her mind heavily. From Hoshiko and the Tai Pan to the Kiwomians, this whole thing had started to feel less and less like a chance for any kind of political progression and more like a political powder keg. She had returned to her quarters after the Summit had let out, intending to bunker down and start putting together the article she would send to New Horizons when Heram had contacted her. One of the aspects of her implementation with Heram's staff was to conduct interviews with the various Ambassadors that he would interact with during their time together and it seemed it was time for the first interview. She was quite pleased when she discovered that she would get another chance to speak with Yetara once more, the Valorian's were a people that piqued her interest and she had wished for more time to speak with Yetara before the whole incident with Hoshiko and the Kiwomians began. She had hoped initially that the Summit might offer an encouraging image of the Alliance for the Valorians or at the very least go smooth enough to encourage Representative Yetara about the positives of entering into the galactic sphere of politics. Yet it was more likely that the bickering between the Reich, Tai Pan, Alliance, and other factions had done little to encourage her or anyone really if the mood in that room had been anything to base assumptions off of. Now the best she could do was hope to offer a chance for Yetara to speak openly about her people and their culture and try and broker understanding through what she finds out. She departed from her quarters wearing a blush colored button-up and a set of pressed black jeans, a casual but professional enough attire for a relaxed setting, quickly grabbing her datapad and tying her blond hair back into a tight bun as she exits. She walked through the meeting area where the various Ambassadors had mingled about before the Summit had began and was glad to see that it had somewhat cleared out from before. Hoshiko was no where in sight thankfully, having to interact with her would have done nothing but thrown Diana off. She walked to the private meeting room where Heram's message had directed her towards. She nods at him as she arrives and sits down on the cushioned chair just behind a small table. She quickly unpacks her items, placing her datapad on the table and opening up two tabs on the screen, one to write down her notes on and the other containing the list of questions she had pre-written and filed away for these types of interviews. She then places the datapad's writing stylus on the table next to it, moving a few things around with the pen and taking a deep breath in and out. She had been thrown into diplomacy but now Diana was doing something she was truly comfortable with and it showed in her manner and outward appearance. She seemed at ease and ready to work, relaxed in her environment yet professional in her manner. She looks towards Representative Yetara as the Valorian entered into the room with Wazu and sends the woman a small, kind smile. "Representative Yetara, its good to see you again. I confess I was rather disappointed that outside events pulled me away before I could get the chance to have a real conversation with you." Diana rises from her seat and extends a hand outwards towards Yetara, "This interview, if you wish to go through with it, will be wholly at your discretion. If you do not wish to answer a question I ask or want something to be said or stricken off the record, just ask and it shall be done. My hope with this interview is to encourage an understanding of your people and your culture to the rest of the galaxy and hopefully begin to broker a bit of understanding between yourselves and humanity." The summit had gone a lot worse than Yetara was hoping for. She knew things were tense, she knew galactic politics had gone sour between its parties, but this? This was more than just national bickering or prideful poking at those who were different, this was the sparkings of war, waiting for a piece of tinder to catch. However the risk of war would not force the Eld or their wants into hiding, if anything it would push them to take the day for itself, to do what could be done and prepare for the rest. It had been decades since the last tribal outcry or rebellion, and Yetara herself had assisted in quelling the whispers of one not too long ago. Their soldiers did not remember such massive war, but the Eld did. The private rooms were quiet and comfortable, a welcome environment after the political stresses that the Summit had brought about. As much as she was unused to the artificial walls and structures around her, she could at least appreciate the friendly decor, and peaceful design of the rooms. She had ordered a small cup of tea, almost boiling and completely dark. Sugars and other sweeteners were certainly present in Valorian dishes, but they were seen as an additive, a spice rather than a primary ingredient. Not many Valorians held sweet tooths, and Yetara was no exception. She took a sip of the odd, foreign liquid as she went through what she knew in her head, letting the swelling new heat in her belly bring her some solace. "Yes, I spoke with Diana very briefly." It was only a few seconds, but she would not fault the woman for attending her job, especially when it caused Yetara herself no trouble. In waiting, Yetara had kept herself composed, an artful skill that she seemed quite good at considering her still demeanor at the Summit in general. Clearly she was not emotionless, she got along just well with Quarum, and she was sure that the discussion there had something to do with the request for such an interview now. She could feel the translator swell around her neck, and for a moment its dug-in claws caused the flesh around her throat and ear to itch, but it faded as the creature settled. Walking into the room where Diana waited, Yetara took a deep breath before finally stepping in, and taking her hand for a brief handshake. It was alien to the Valorians, but regardless she had done her research on such customs. Representative. It was an odd word. A strange, foreign word that felt like she wasn't supposed to be in the same sentence with. Yet, here she was, that was what she was, and to whoever saw this interview? It would be exactly who she was, no one more, and no one less. This had to count, and she could not afford mistakes. 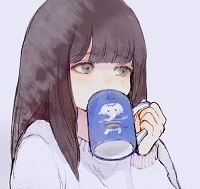 Taking a seat, she tried to settle her nerves with another sip of the hot liquid. It bordered on scorching her tongue, but the biting temperature helped focus her mind on what she was going to say. "It's certainly a pleasure to talk with you again. I'm fully willing to go through with this interview, of course, and I'll be sure to let you know if any question is... Uncomfortable, or is out of my authority to answer." Authority was a specific choice of words, a telling one, but Yetara had chosen it for such reasons. "I'm sure that our culture and way of life must seem odd to those in the Galaxy. All I had to do was step out of my shuttle to realize that, after all. We are different, but that simply means that understanding will take work, from both sides." Diana felt a smile curl onto her lips as she listened to Yetara speak, she was glad that the Valorian representative had taken this opportunity, the chance to hear and report about the culture of such a new species within the galaxy was not an opportunity that anyone with some sense would scoff at. "I'm glad we understand one anothers intentions about this interview then, hopefully this will be the beginning of the necessary work needed to be put in to foster such an understanding between our people." Diana sniffed the air quietly as she spoke and was hit with the aroma of the tea that Yetara had been drinking, she had meant to order some tea as well to ensure her voice would be in good condition for the interview but she had lost track of time during the preparations. She was quite grateful for the darkened lighting within the room as well, the atmosphere fit the interviews needed mood as well. Heavy lighting could serve to make a subject grow uncomfortable or feel on their guard, the feeling of exposure and discomfort would be present even if they may not be conscious of it. Diana felt her eyes linger on the translator that had swelled around Yetara's neck, she had seen it before the Summit meeting had taken place but she still had to take it in for a moment. Despite the inherently odd appearance of the creature that served as Yetara's means of speaking it still intrigued Diana in a way, the adaptations and skill needed to manage such a thing was something that had potential to be discussed. She picks up the stylus for her datapad and then looks up towards Yetara. "Alright to begin with Ambassador, do you think you could offer us some insights into your upbringing and such? What was life like for you growing up on your homeworld? Growing up on a world that was isolated from the rest of the galaxy must have led to a very different style of upbringing than many are used to. Also what led to serving as your peoples Ambassador in the Summit, what led to your selection as the delegate?" This would hopefully be a good series of questions to open with, they were good to start a baseline of questions that Diana could continue to build off of. She readies the stylus to write as soon as she is done speaking, ready to start jotting down whatever Yetara says. These were odd questions, questions that, Yetara noted, did not necessarily direct themselves at the Valorians as a whole, but instead were directed at her. It was a tactic, however a friendly one, get her to open up about the details of Valorian culture through her own perspective. Smart. The room was still on the lighter side of Yetara's comfort zone, and it showed as her face rested in a comfortable way, eyes relaxed without strain. "I'm unsure if other species have a similar societal structure, but I'm sure some parallels exist. I was a child in a Middle House of a larger clan. A lot is expected of us and little is given without the work being put forth. A lot of pressure to... Represent the House well, to differentiate it from the other Middle Houses, while also showing our elevated status from the lower ones." She was born among three siblings and countless cousins, though such words didn't slip from her lips. "I was never a particularly good Weaver, but I was apt at understanding political structures and how to talk among the Houses. With how my parents structured our teaching, they wanted us each to excel and specialize in what we were best at, from the earliest age possible. I probably spent most of my childhood in lessons and listening in on political discussions. When a child is considered old enough to be trained for a job, they were basically allowed to sit in and actually see it preformed." She had always believed that the lessons of Weavers were more interesting, until her sister confided in her how dreary they truly were. "Being isolated from the rest of the Galaxy was never a... Concern, for any of us. After all, someone who has never heard of, much less seen the color red cannot claim to miss it. Though, if I recall, finding out just how much was out there was very... Turbulent. Many of the Clans and Houses resorted to infighting over how they should respond, and that's part of why I stand here today instead of some other representative." She had seen the anger and discord of it all, though she would share the extent of it, of course. The last image that needed to be thought of was one of a divided people. Besides, she had seen it rectified personally. "Many factions within the Clans and Houses disagreed with how to approach the galactic stage as a whole. Though none were outright hostile, many held... Much more isolationist values, and and for a brief time many bonds and deals were under pressure from dissenting groups." "I, among other well-favored Brokers were selected under careful considering of the Eld. While I was, at the time, not well known to Higher Houses or more distant ones, I fit the role they required. I was honest, and held my word against the backlash of my own House, or the pride of my family. They needed Brokers who could be seen as fair and reasonable between dissenting groups, and it helped to be a third party, one who did not directly benefit from the swaying of either position. It was countless sleepless nights, but through our efforts we managed to create a unified people, stronger than ever under the tutelage of the Eld." Eld, Eld, Eld. She spoke the word a lot, and she was well aware of it. Did her normal vocabulary repeat that title this frequently? No, of course not. But then again, under the many oaths and promises that Valorian court held, it was as if each important word was underlined with the title as its backing. It was a swear, a promise, a curse, the word was importance of many kinds, of every kind. Heram would quietly excuse himself, to go tend to other matters. Diana listened very carefully as Yetara spoke, quickly jotting down various notes onto the screen of her datapad. It was interesting to hear about the Valorian people from a truly reliable source rather than certain theories and recurring themes she could locate through various articles that she had read. Yet hearing about the Valorians was strange in a way, for a people that seemed so exotic based on outward appearances, the porcelain skin, the intense gaze...The animal that served as their means of speech. For all of these perceived oddities some of the aspects of their upbringing seemed quite similar to what many would experience across the galaxy. It would certainly offer a very good angle to play at the very least, help the Valorians seem a tad more relatable to the readers. Diana smiled as Velara stopped speaking, "I think that a lot of the various races across the galaxy could relate to aspects of your upbringing at the very least Ambassador. Speaking as someone who grew up in the Alliance Navy, I can understand ones parents looking to find what their child is good at and trying to ensure they follow that path, along with the need to put in the work to get what you desire. Your people do seem to have a very good concept about preparing one to enter your workforce, the idea of being able to visualize a job being done and then continually practice and learn from is a policy that many could learn from." She spoke with a genuine tone in her voice and this was already starting to remind her as to why she did this job. Getting the chance to learn about such a culture and document it was never something she would intend to take for granted. Diana briefly skimmed over her notes and then looked towards Velara once more. "You mentioned that you were a child of a Middle House of a clan, do you mind elaborating a bit in regards to the Houses in the clans of your people? If I were to hazard a guess I would assume that the Lower House is likely the working class, the Middle is the Gentry of the clan, and the High House would be the nobility? Please correct me if that statement is inaccurate of course." Diana continued to scroll through her notes for the moment after the inquiry left her lips. "Another thing that I have noticed is that you make a lot of mention towards this being called the Eld, could you explain to me what exactly the Eld is? You mentioned that they chose you to be the...Broker for your people in this Summit. Is the Eld some type of clan leader or council of tribal representative or is something more akin to a religious or deific type of system? If not the Eld, do your people follow the beliefs of a specific deity or sect?" Diana felt herself hide a slight intake of breath, religion could be a somewhat touchy or taboo subject to poke a question towards but knowledge of religious belief...If the Valorians had any type of beliefs, could be useful in forming connections at the very least. Her parents did indeed try to find her niche, but it was never a... Personal relationship she held with them. She was sure that other Houses were a bit more close, but aunts and servants did more of the actual 'raising' of her when she was young. She chose to let this slide, and leave it out of the interview. As for the Houses and Clans? It got... Complicated, to say the very least, but at the very least she could give a simplified while still respectful overview of how they functioned and why they were divided in the ways that they were. Perhaps... A brief history lesson, instead of just describing the differences? "Originally the Houses developed as early tribes prior to their unification. The early Eld unified our planet in a... Unique way. They knew that a conquered people would be likely to rebel against the ones that initially conquered them, and the effects of being conquered would have countless generations of unrest, especially among more prideful tribes. So when the early Eld unified them, they allowed the tribes to remain as they were, they weren't forced to relocate or integrate with others, such efforts took place over time. Since the structure of local groups and their tribal governments were never disturbed, they dissipated and evolved into the Houses of today. Though that's very much a... Simplification of the history, I would hate to turn this interview into a history lecture." With a brief inhale, the next words came as natural as those before it. "The Eld are Valorian, though not in the same regards that my kin and I are. They are... Ancient, some have lived for hundreds of years, others even older. There are many Eld, but they share a council, and they lead the Valorians with their great wisdom and understanding of our world. The process of becoming an Eld is... Well guarded, and decided upon by the existing members. They are like us but very different, changed in... Mystical ways." The pauses were intentional, it took her many tries to get them right while still sounding natural. The translators function helped disguise it. "They are our leaders, in essence. The word of the Eld is practically law. It was their decision to send me here today, and as such, here I am." She specifically avoided the more... Religious aspects. Ancestor worship was popular many decades ago, but it slowly turned to elder veneration, which, of course, held the eldest in the highest regard. And with the Eld and their extended lives? Well, they were the eldest, and deserving of the most veneration. She had no doubts who had enacted such changes.